Those long, summer days are coming to an end and schedules are beginning to look more consistent. Children crave consistency. Maria Montessori stressed the importance of routine when developing young minds, but it is hard to have a consistent schedule with vacations, summer parties and constant pool visits. 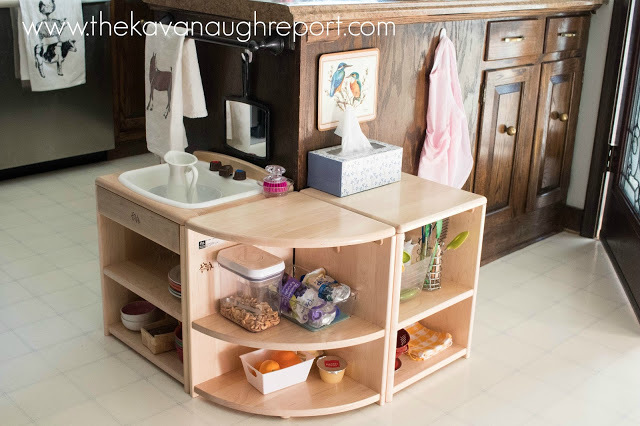 There are a vast amount of ways for your family to begin instilling independence casually as summer begins to wind down and it is as simple as including your child in the routines of your home. Getting Dressed: We suggest at this age letting them choose what they would like to wear each day. We suggest giving options, three max. Appropriate language for these situations should not be an open-ended question, like, “What do you want to wear today?” Instead try, “Would you like to wear the blue shirt or the green shirt?” They will likely need assistance getting dressed but give them as much independence in this area as you can. Hand Washing: We use this pitcher and bowl set with a similar setup in our classrooms. 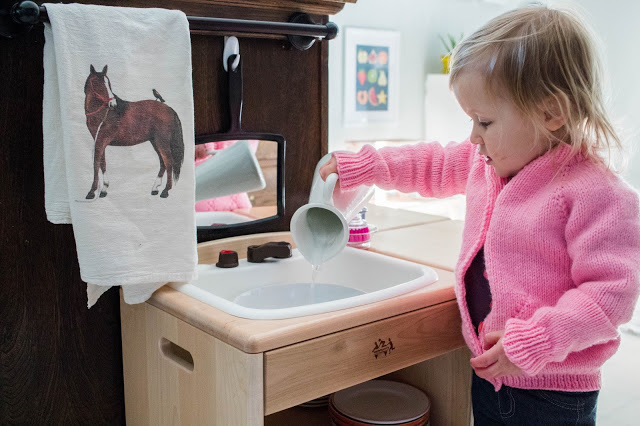 If using a faucet, make sure it is easily accessible to the child. Nose Blowing/Wiping: Setup their own “Nose Care Station.” A simple small table, within their reach, with Kleenex, a small mirror, and a trash can. It is important to note that these things should all be easily accessible. For instance, having a stool so they can independently climb up to the sink in order to wash their hands. Everything should be within their reach and require minimal assistance. Kitchen Help: Meal Preparation (Vegetable Scrubbing, Cutting, Spreading, Stirring, etc. ), Setting the Table, Serving the Meal, Pouring Drinks, Helping with Cleanup (washing dishes, drying dishes, wiping the table), Silverware Organizing. 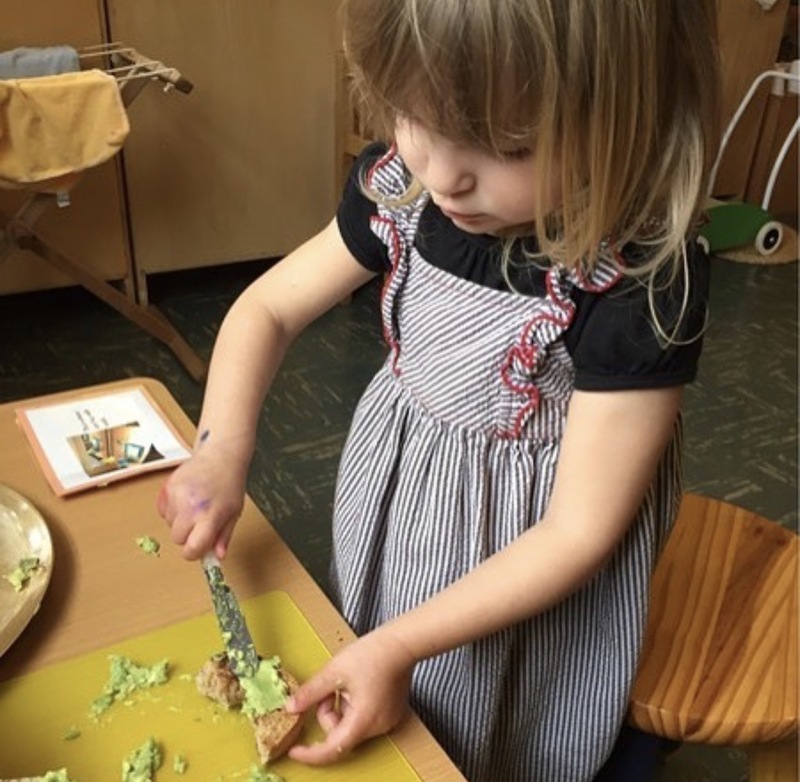 Children at this age will also enjoy other Kitchen activities such as grinding, grating, and juicing. Household Chores: Laundry (folding and putting away), Sweeping, Mopping, Composting, Making the Bed, Tidying Up Bedrooms, Organizing Toys, Yardwork (raking, gardening). There are so many benefits, for both the child and the parent, in giving these simple responsibilities to your child at an early age. 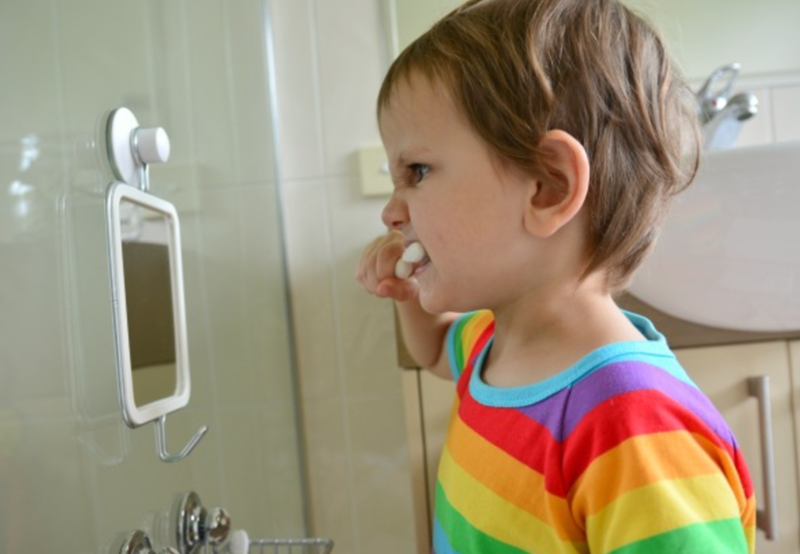 Early independence and self-care creates a large sense of confidence within your child. Having these suggestions become part of your regular day will help with the transition from an unusual summer schedule to a regular school-year schedule.